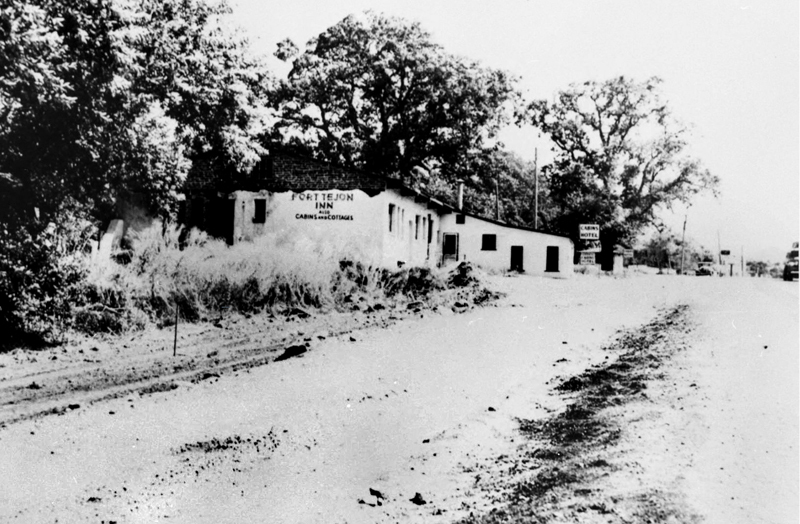 SCVHistory.com LW3195 | Tejon Ranch | Cowboys Ed Gibson and Gib McKenzie, Ruins of Ranch Headquarters, 1968. 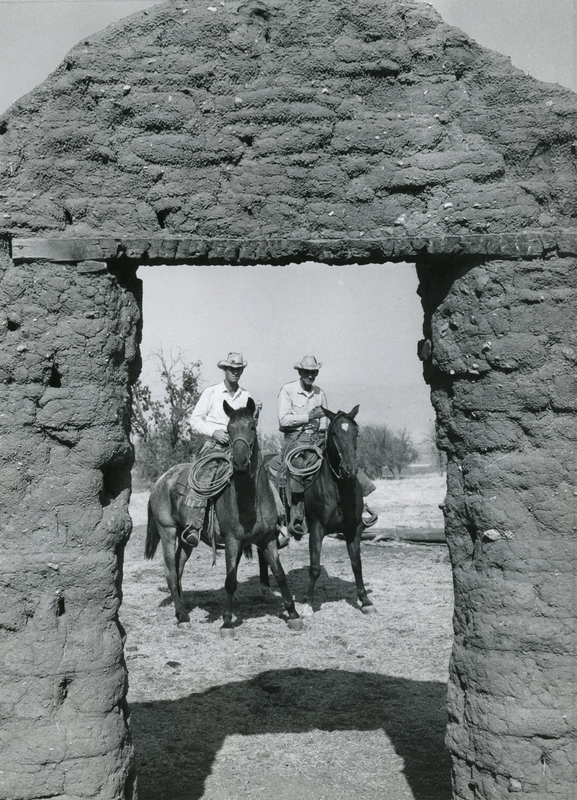 EL TEJON RANCHO, KERN CO.
PICTURE DOOR — Cowboys Ed Gibson, left, and Gib McKenzie are seen through a doorway of what remains of an adobe dwelling built more than 100 years ago as part of the original ranch headquarters. McKenzie's father and grandfather were employed on the ranch and when he was a boy his family lived in the adobe home. LW3195: 9600 dpi jpeg from original photograph purchased 2018 by Leon Worden.